In this guide we’re going to walk through the nitty gritty of starting your own business, so that you can jump in feet first and on track for epic success. In addition to this super comprehensive blog, you can get the Full FREE Download of this article ‘How To Start A Business’ HERE. We’re an Australian based company, so have referenced Australian sources, so be sure to find your country equivalent. I remember the day I sat down to officially kick-start my own gig. Perched patiently at my mac, I logged on to officially register my ABN, ticking the boxes, all the while quietly edging closer to what would become the wildest of dreams. BAM –it was official. I was in business. The weirdest thing though, was that as I took this life-changing leap, there were no virtual high fives given out, no theme songs blaring on repeat at ear splitting volume, and there certainly wasn’t a party popper in sight. But inside, there was a little something. A feeling of excitement mixed with anticipation, and a decent dash of terror. It was real; I was really going to do this thing. Running your own show is one helava ride with more twists and turns that your favourite cinnamon scroll. But one thing I know for sure, from both building my own business and coaching thousands of others, the sooner you get good systems in place the more time, money and freedom you’ll have to actually sit down and enjoy that tasty Danish treat. So that’s what we’re covering here – the foundational system you need to set yourself up for success. Think about your business like a house. Before you go putting in the plunge pool, cabana, spa and sauna, you need to lay the concrete slab and set the firm foundations for you pad. It’s not the sexiest part, but I promise you it will stop the whole thing from tumbling down later! Let the fun begin! Dream BIG. How good could this business possible be? Allow your imagination to run wild, that’s why you’re starting your own business right?! And here’s the best news to get you started: quite simply, there has never been a better time to start a business. Not only can you get up and running in a matter of moments, but you now have instant access to a global community, meaning that absolutely anything and everything is possible. This step is even more important that the setting up your systems, defining your USP, or knowing how to read a P+L. Because this is what will drive you. This is what will get you up in the morning, fires up your soul, and connect you to your purpose on a daily basis. Now that you’ve blown up your big idea you’re likely completely fired up to get this thing off the ground. But where on earth should you start? Let’s start by breaking that dream down into some bite-sized chunks. You can 100% have it all – just not all at once. Call these goals, call them milestones, call them markers in the sand, whatever floats your boat. The point of these is to start breaking down what’s possible in the amount of time that you have so that you can stay focused and on-point. 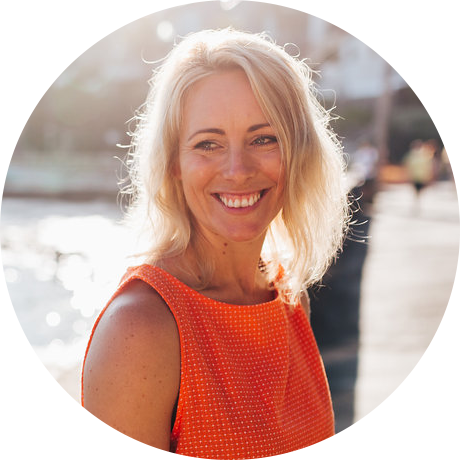 When your new business baby throws a tonne of challenges at you (which I promise it will), you can have 100% confidence that these little milestones are going to take you exactly to where you want to go. Long live the .com! Or so they said 10 years ago…..While it’s absolutely dreamy if you can secure your .com (and you should do asap if it’s available), don’t get all hung up on it. 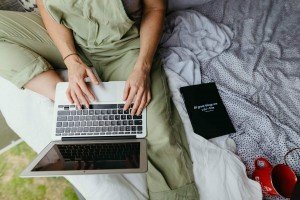 There are tonnes of other options out there but our big tip is whatever you go for, try and secure all the addresses eg.theownerscollective.com, theownerscollective.co, theownerscollective.com.au. There are a number of providers that you can purchase from, with two of the most popular being crazydomains.com.au and godaddy.com. You should be able to purchase your domain name $10-$20 per year, with the option to extend. You’ll very likely need some form of Public and Product liability insurance to start your business, and (if you’re giving any type of advice) Professional Indemnity as well. The cost will depend on the type and set up of your business, and how you’ll be serving your clients. This can be a super tricky field to navigate, so we’d recommend contacting an Insurance Broker to make sure that you’re getting the best cover, and the best deal. This is by far the quickest and easiest way to get started. It’s low cost and easy to register, and many Freelancers start this way. Sound like a dream? Quite possibly for the first few years it is. You get to keep the profits within your business and tax reporting is as simple as it gets BUT you are also fully responsible for any acts of negligence, so in summary: Pro’s: Easy to set up, low cost to set up, easy to change at later date, you get the profits. Con’s: Low liability protection, limited flexibility and risk minimisation. So you and your bestie want to kick start a chai distillery that will take over the world. Awesome. You’d think that a Partnership set up would be the way to go. 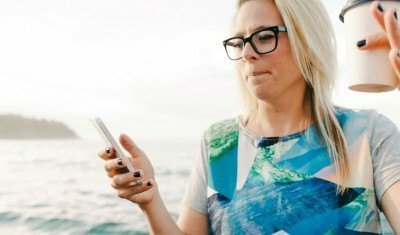 Now while these are easy to set up, they’re not the most flexible of options, and can be fraught with danger, so you definitely want your Accountant’s advice on this. And regardless of whether you choose this structure or not, when going into business with anyone (your boyfriend or your nana) you want to clearly outline and agree up big picture vision all the way down to roles and responsibilities and everything in between. Pro’s: Low start-up cost, easy set up, easy to change moving forward. Con’s: Divided authority, different opinions, disagreements, friend and family breakdown. Refers to the price of the product or service covers all of it’s costs to produce. This would include materials, assembly, a percentage of rent/electricity/water and a percentage for profit. Within this structure you use the full cost pricing to determine a ‘floor’ cost, and then commit to not going below the ‘floor’. You then add mark up on top of the ‘floor’ which can be flexible and adjusted seasonally, competitively etc. The gross profit margin is basically the amount you make per unit sold. For example, if your product costs you $7 to make, and you sell it for $10, you’ve made a gross profit of $3, and your gross margin is 30 per cent. Retail businesses often use this form of pricing, by determining the price of an item based on it’s wholesale cost plus a gross margin (also called a mark-up). You don’t need to use the same gross margin on all items, or at all times. Be flexible with what works for you. This part get pretty nitty gritty, so check it out in the full FREE download here. Having an excellent Accountant on board who understands what you’re doing and why your doing it is a game-changer for any business. They are the brains trust behind your numbers and are absolutely essential to the smooth running and growth of your business. Accountant’s are not just there to minimise your tax, they should be fully on board to help you achieve your business and personal goals. Ask around for good recommendations and interview several before taking the plunge. A good Accountant will likely be on your team for a long time! Good legal advice is worth it’s weight in gold. Find someone you trust to guide you through the start-up phase and be on the lookout for any hidden traps in your industry that you may be unaware of. A Lawyer can guide you through contracts, employee set up, service Terms and Conditions,…the list goes on! A mentor is someone who has been there and done it before in your industry. They may have five, ten or even 20 years experience and can give you high level advice. To find the right mentor look for people in your industry that you admire, and simply – ask them! 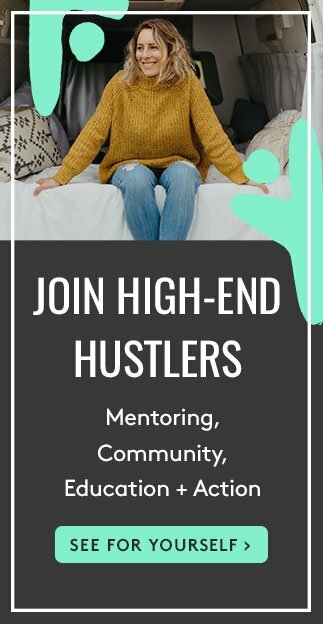 We also offer Mentoring through our High-End Hustlers Program, check it out here. 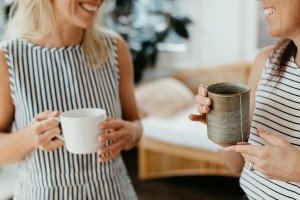 A Business Coach is someone that you meet with regularly who helps you establish your business goals and then guides you on how to achieve them. You will likely meet with them on a weekly or fortnightly basis and will glean a broad range of advice from them. Expect rates to start at $1200 per month, but they will most certainly fast track your road to success. 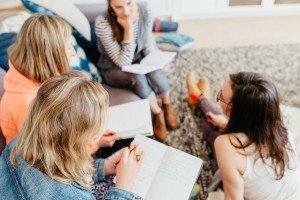 We also offer Coaching through our High-End Hustlers Program, check it out here. Here it get a bit nitty gritty, grab the full FREE download of this article here. You MUST, figure out who your absolute ideal client is. These are people that you LOVE working with, use the worksheet below to start brainstorming who this could be. Start off with demographics, and then step into their shoes as you start to dig into their psychology and how what you do makes their life better. Grab your FREE download here for the workbook for this exercise. The mothership is here, so when developing your website consider: How do I want my potential customers to feel when they’re on my site? Is the journey I want them to take clear? Easy to navigate? And is there plenty of white space to allow ease of viewing. In terms of getting your website up and running we recommend handing it over to a professional. This can cost anywhere from $3500 upwards (more if you have products you want to place on there). 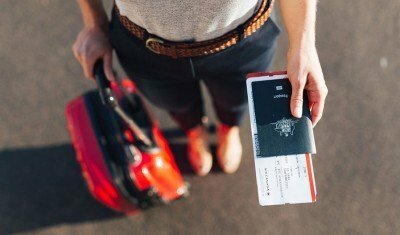 If this sounds a little too hexxy to get started check out First Flight, Square Space or Wix for some DIY easy to use options. With an absolute abundance of social media channels out there, which ones are you going to focus on? Facebook? LinkedIn, Twitter? Instagram? SnapChat? Our tip: Pick the ones your ideal clients hang out on to get your business started. Get one right and then move on from there. This will simplify things for you, and make sure your doing one well rather than a whole bunch half heartedly. Never underestimate the value of building face-to-face relationships in starting you business. People do business with people they like, so get out there and start introducing yourself to come people. Have a look online and there’s likely be a bunch of networking groups in your area. Some include: Chamber of Commerce, BNI, She Business, Business in Heels, or even the local pub if you’re a tradie! Get out there and start talking to people about what you do and how it could help them. 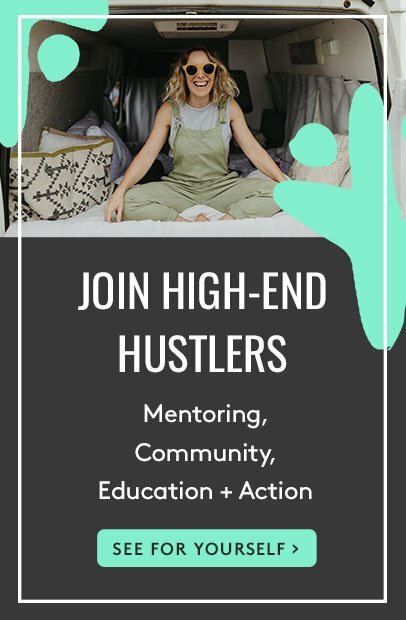 Better still, check out our High-End Hustlers program HERE that delivers awesome networking and mentoring all in one! Strategic partnerships are essentially two brands coming together, exchanging valuable assets and achieving a common goal. Collaboration can be done in a bunch of creative ways including event’s, creating a product together, exchanging shout outs on social media, creating a joint giveaway and cross promoting through one another’s channels, or even just good old referral partnerships. Get creative with this and the possibilities are endless! These are just a few examples of marketing, but with the world wide web available to us the possibilities are incredible. think big, think creatively and don’t be afraid to stand out from the crowd. Now that we’ve covered off on the ‘how to’s, it’s probably time to put in a mention of what might actually be the single most determining factor of whether you sink or swim this thing……you got it…Mindset. Anyone who has been at the helm of business will be first to tell you that this ‘aint no easy road! If you’re counting on regular income, regular holidays and regular sleep, you should absolutely stick to your day job. However, if you’re crazy enough to think that you can, and you’re prepared to do whatever it takes to try, then read on my friend, you’re in for a wild ride.